Had lunch here with some friends of mine. We ordered the shrimp and crab nacho plate and it was excellent! I had the crab cake with some fries and it was great, really hit the spot. I always say even beyond the food is the customer service and our waitress was great! We all enjoyed our lunch and when back in Orlando, will definitely come back here! Our waitress was awesome and very attentive! Atmosphere was good and the menu looked good! We had burgers with the tomato bacon jam which were delicious! Great restaurant. Great service. Great server. Great food. Great prices. Definitely a place to hang out after a busy day. Everyone needs that one special place where they can go to unwind after a long day at work. At Marlow’s Tavern, we fit the bill. 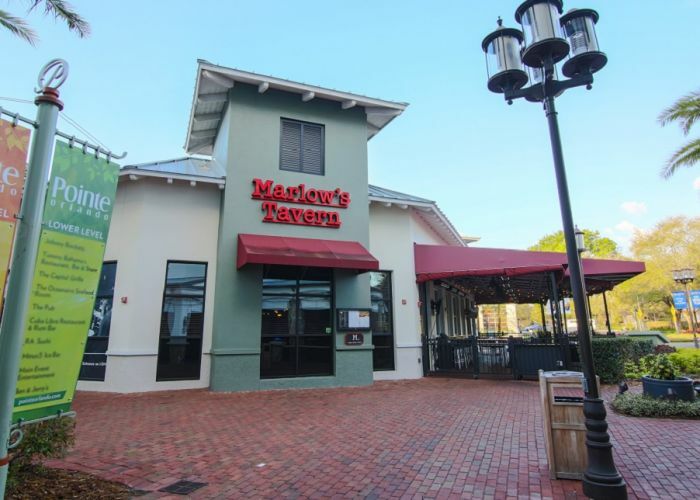 Meet up with friends for the ultimate happy hour specials at Pointe Orlando shopping center. Our comfortable seating, mouth-watering appetizers, and fun, friendly atmosphere will be sure to have you feeling relaxed and ready to get your night started. Disney isn’t the only place in Orlando that can create magic. At Marlow’s Tavern, we’re proud to have a team of experienced chefs that whip up culinary delights that tease the taste buds and heighten the senses. 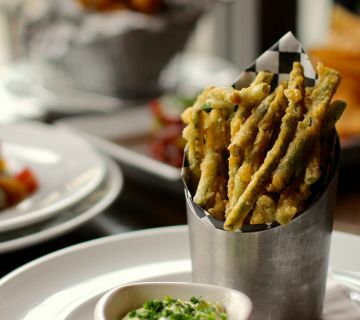 If you weren’t a foodie before you entered Marlow’s Tavern, you’ll leave with a whole new appreciation for food. We offer made from scratch food from Pointe Orlando chefs who take pride in using the freshest ingredients in unique ways. Whether you’re snacking on Marlow’s famous hummus or wrapping your hands around one of our big bar sandwiches like the Prime Rib French Dip, every bit is sure to create an explosion of taste in your mouth that you won’t soon forget. With plasma televisions, in-the-round seating, and live entertainment on select days, you won’t find a better place in town to hang out with friends or network with clients. 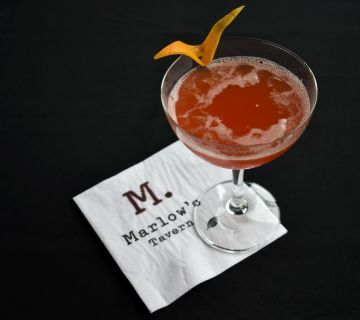 A question we hear asked most is, “Where can I find handcrafted cocktails near me in Pointe Orlando?” The answer is Marlow’s Tavern. 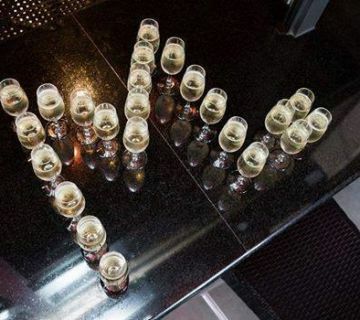 Our spirits menu is a collection of exquisite offerings made to order by our talented bar staff. 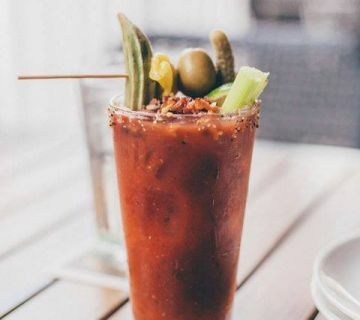 When you want a drink that isn’t the usual, stop in at Marlow’s Tavern. 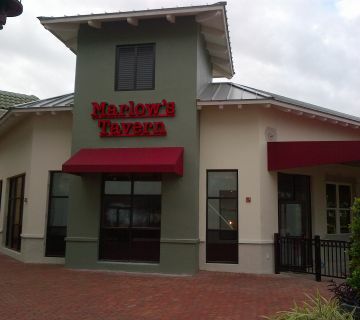 Marlow’s Tavern is open daily at 11:30 am for lunch, dinner, and happy hour. We’re a local restaurant at Pointe Orlando that welcomes you. We are conviently located near the Orange County Convention Center. Interested in catering or a group event? Give us a call to speak with our group and event sales manager. No matter what the question, we’re always happy to hear from you!